Ever owned a shirt and wondered why there were extra buttons without button holes? Well, for situations like this, when one get’s “misplaced,” of course. We understand that losing a button can be frustrating everything on your shirts, suits, and pants. And they usually happen to fall off at the wrong moments. Well let us reassure you it is very common! Buttons come loose just as often as you need an oil change. The more you use it the more it could become loosened. 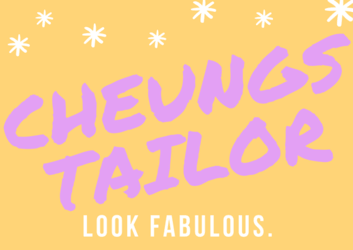 At Cheung’s Tailor we do all sorts of buttons. We try our best to find one most similar or closest in style but since many are manufactured made it’s typically a little more difficult to find the exact style and fit. Another choice for those a little more concerned about the color and style of their garment are always welcomed to purchase full sets from your local fabric supply stores such as Joann Fabrics, Hancock Fabrics, or Hobby Lobby.